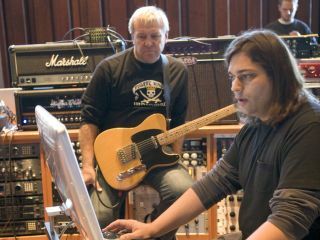 Rush producer Nick Raskulinecz with Alex Lifeson. May was, to all intents and purposes, Rush month on MusicRadar, as we gave you the track-by-track lowdown on new album Clockwork Angels and interviewed producer Nick Raskulinecz. There was also an extensive chat with Stewart Copeland and the news that Giorgio Moroder may be featuring on the next Daft Punk album. "You want to help the band make the best record they possibly can"